So I haven't posted any of my thoughts on Kpop recently. With the quantity of groups and the need to make it in the scene, the quality of KPop seems to be in a low for me. Gone are the days when almost every group out was ready to entertain. Today? Not so much. Hence, my lack of enthusiasm to blog about it. But anyways, one group has definitely caught my attention! Introducing Big Byung ("Big Bottle")! This was group formed from rappers from different boy bands. Their music and mv style reminds me of 1TYM, the group YG Entertainment had before Big Bang, due to all rapping and location of the video. Even if you don't have the English translations at hand, you can already tell it's a funny song talking about stress. And isn't that the beauty of music? It doesn't matter what language it's in, it's all about a good beat and rhythm! This is why I'm a love Kpop, Jpop, and J-Rock! Haha. 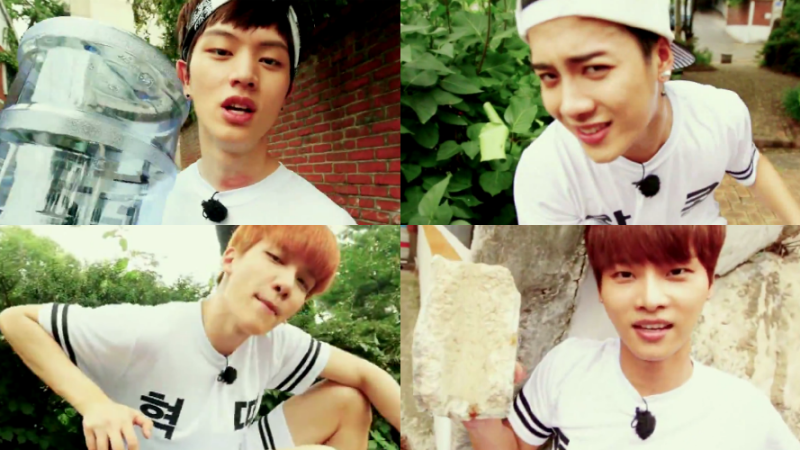 The band consists of GOT7's Jackson, BTOB's Sungjae, and VIXX's N and Hyuk. Can you guess who my favorite is??? I love his funny expressions! It's meant to be funny, but he meant to make it intended. Like he takes his job seriously, which makes it so natural! Asides from being funny, he got the moves! Prior to joining the KPop industry, he was a champion Olympian fencer from Hong Kong! His athletic capabilities got me swooning! Plus, I seriously think he is the best dancer of GOT7! 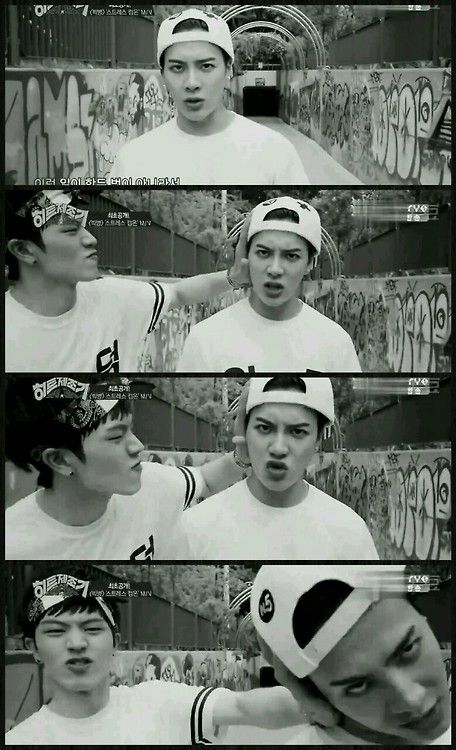 His rapping skills differs from the usual JYP mold, which is a great thing! Loving his style and fits naturally. And overall, he just has the charisma and star power only few Kpop "Idols" have. As funny as it is, this is what these idols needs! It's so easy to be entertained by him and definitely got my eyes on him, outshining the rest of the Big Byung members. 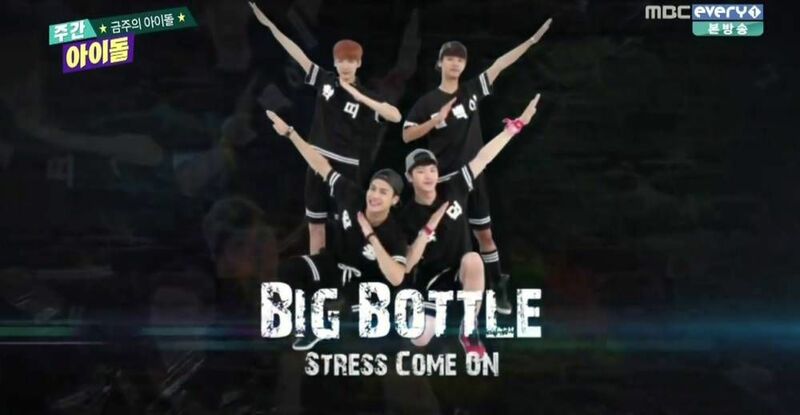 Big Byung (빅병) - Stress Come on! (스트레스 컴온!) by 1theK. Unfortunately, as soon as Big Byung debuted, they said their farewell. This group was just formed for a collab between boy groups and for a variety show. I'm glad that they had a chance to represent themselves outside their group despite the short period of time. It's a smart move, especially when Sungjae of BTOB says that his group is starting to fade from the KPop scene. From someone who is picky as to which Kpop group to even give time to, this collab has, indeed, called my attention the more onto BTOB and VIXX. The song is light, fun, and "gangster". It was a brilliant idea making this group happen! Collabs like these are uber refreshing and needs to happen more often!